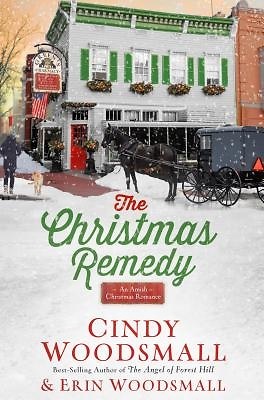 When an Old Order Amish woman takes a job at a small-town pharmacy that is determined to survive in a world of "big box" stores, her motive is to help her Plain community. But the advent of the holiday season brings an unusual mystery to the surface--and possibly love. Twenty-four year old Holly Zook lives a unique life for a young Amish woman. Years ago, her bishop allowed her to continue her education and become the lead technician for Greene's Pharmacy, an old-timey drugstore that looks out for the Amish community--a group largely without secure healthcare plans. She knows she can't marry and hold onto her professional job. She's Amish, and she can only have one or the other, so she spurns love and works toward ending preventable diseases--like the one that claimed her father's life.